(KPL) The Lao PDR has a younger population than any country in Southeast Asia, with nearly 60% below the age of 25 years, and nearly 22% of the population are adolescent girls and boys, aged 10-19 years. “Young people have a significant role to play in country’s development and will be the driving force behind social and economic development in decades ahead. 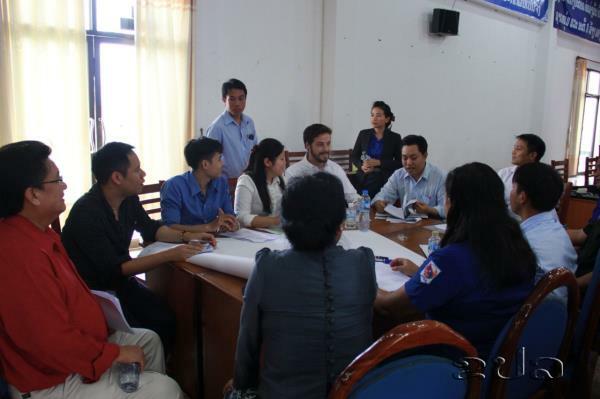 Therefore, policies and programmes are needed to enhance their capacities and provide proper opportunities so that they can fulfill their potential,” Mr Alounxay Sounalat, Secretary General, Lao People’s Revolutionary Youth Union (LPRYU) told a meeting held in Vientiane on Aug 29. “With a good youth and adolescent policy in place and with the right investments, the Lao PDR can benefit from the huge youth population. Providing young people, and particularly adolescent girls like “Noi”, with opportunities will contribute to sustainable development and economic growth,” Ms Frederika Meijer. UNFPA’s Representative to the Lao PDR told the Stakeholder Consultation Meeting on the 3rd Draft of National Youth and Adolescents Policy. “It is essential that young people participate and are able to contribute to economic, social and political development in a way that lifts the country out of poverty, ensures greater stability and promotes healthier societies,” said Ms Frederika Meijer. The meeting, organized by the LPRYU in collaboration with UNFPA, presented the progress on the draft National Youth and Adolescent Policy as the nearly final draft and invite all participants and stakeholders to provide feedback, comments and reflections on this draft towards finalization of the policy. In June 2018, LPRYU sent out 2nd Draft of National Youth and Adolescent Policy (NYAP) to the provinces and line ministries for their comments. The policy presented at the meeting had included all comments from the different stakeholders. The final NYAP will provide policy directions to the different line ministries and call for proper investments for youth in the areas of health, education, sports and employment so that young people can contribute to the development of the country. It will also focus on collaboration, youth engagement as well as increasing capacity, skills, knowledge management as well as raising awareness on different issues of importance to young people.